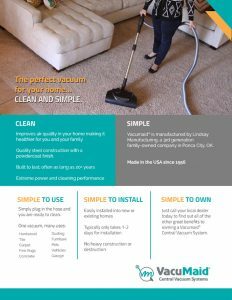 Two new posters have been created and can be printed as 24” x 36” laminated posters or as 8-1/2” x 11” flyers. 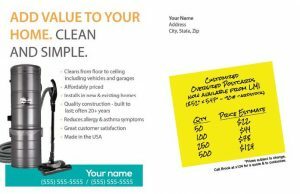 We have created an oversized postcard for direct mailings. It can be customized to your area with your contact information. Custom printed; 2 week minimum lead time. Prices are approximate and may be cheaper at time of order. Contact Brook x124 for a more accurate quote and to customize. Mesh hat. Adjustable. 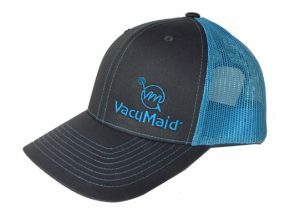 Electric blue with VacuMaid® logo. 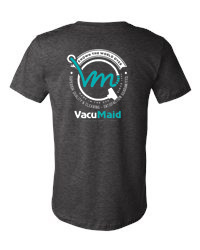 This VacuMaid® promotional apparel is excellent as installation, office and trade show attire. Check our website for current availability. 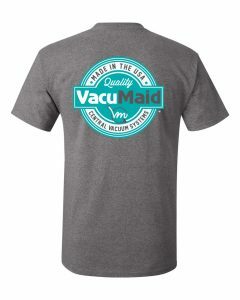 We have new short sleeve logo tshirts available, in 3 new designs. These static cling window decals are great for your store front window. 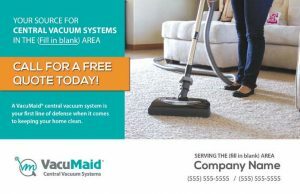 They will let customers know immediately that you are an authorized VacuMaid® dealer. 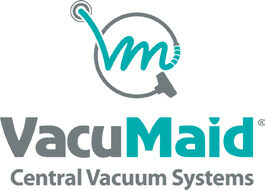 These vehicle decals are another great way to let people know that you are a VacuMaid® dealer. Made of silver & teal blue vinyl lettering. Die cut. 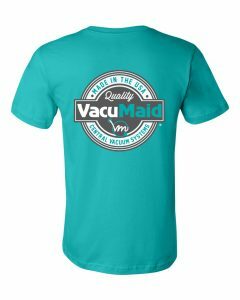 Interested in Vacumaid branded apparel, but want options on fit and style? Check out Land’s End Business Outfitters. 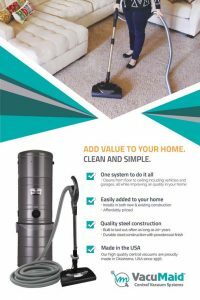 They have quality product in a variety of sizes and styles. 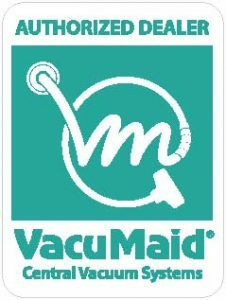 The Vacumaid logo has been added to the Land’s End business storefront. You may now purchase a shirt or jacket with the company logo. If you need a women’s style or big and tall shirt, this will give you many options. Contact Natalie or Brook for the link to the Landsend website. 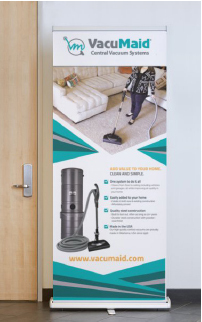 A number of dealers have asked for retractable banners for use at tradeshows. We now have graphics for that available. Contact Brook Lindsay at 580-718-8924 if interested. These banners are 6.7′ x 2.8′. The cost is $140, plus shipping. 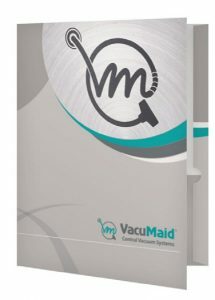 For mounting power units or dirt canisters in a display, showroom, or trade show booth. Constructed from powder coated steel and included attached hanger bracket. Approximately 43″ in height.